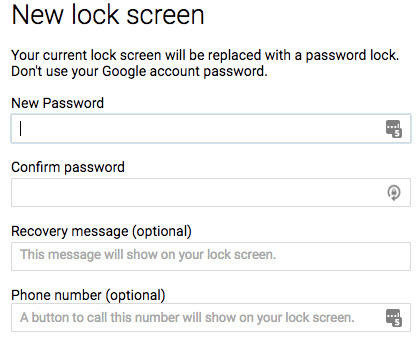 If you have lost or forgotten your Android phones Password or PIN or pattern, please don’t panic. There are ways to reset it as long as you have access to your Google account. The main reason to set lock, Screen PIN or password on your smartphone is to keep strangers from checking out your private data and to avoid to get full access of your phone in case someone steal your phone. In this tutorial i will explain what to do if you forget your Android password, pin or pattern. Now you can recover your Android phone via Android Device manager. 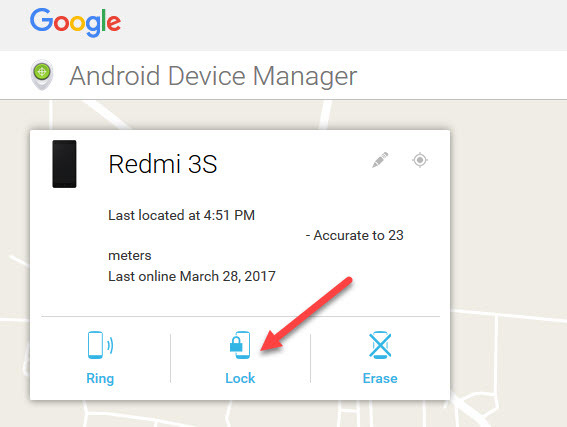 Android Device Manager is native android service to help Locate, Remote Wipe or Ring your lost or stolen phone. Go to Android Device manager website. And login with your Google account. Then click the Lock button. It will open a new popup window and prompt you to enter a new password for your device. Enter new lock password and click the Lock button. After that your lock PIN/Password/Pattern will be replaced with that new password. Tip: Always don’t forget your password.